Investigators report that the vaccine led to significantly lower incidence of pulmonary tuberculosis in the treated group compared with the placebo group. 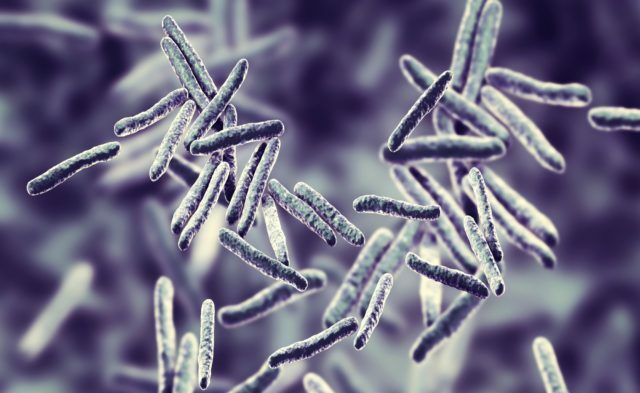 The M72/AS01E tuberculosis vaccine provided 54.0% protection for Mycobacterium tuberculosis-infected adults against active pulmonary tuberculosis disease in Kenya, South Africa, and Zambia, according to a new study published in The New England Journal of Medicine. A randomized, double-blind, placebo controlled, phase-2b trial of the vaccine was conducted in which adults age 18 to 50 years with latent M tuberculosis infections were randomly assigned to receive 2 doses of either M72/AS01E or placebo 1 month apart. Safety and efficacy of M72/AS01E against progression to bacteriologically confirmed active pulmonary tuberculosis disease was then evaluated. Results after a median of 2.3 years of follow up show that, in the according-to-protocol efficacy cohort, 1623 participants received the vaccine and1660 received the placebo. In the vaccine group 10 participants met the primary case definition of confirmed active pulmonary tuberculosis disease and 22 participants in the placebo group met this definition (incidence, 0.3 cases vs 0.6 cases per 100 person-years). The vaccine efficacy in this cohort was 54.0% (90% CI, 13.9-75.4; 95% CI, 2.9-78.2; P =.04). Unsolicited reports of adverse events within 30 days postinjection were greater in the vaccine group, 67.4%, compared with 45.4% in the placebo group. The difference was attributed mostly to injection-site reactions and flulike symptoms. Serious adverse events, deaths, and immune-mediated diseases occurred at similar frequencies in both groups. 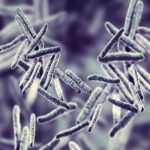 Among the study limitations is that the trial included only infected individuals, so it is not possible to determine the extent to which M tuberculosis infection influences vaccine efficacy. Investigators suggested that a global vaccine strategy would ideally include infected and uninfected adults and adolescents. In addition, despite efforts to exclude participants with active tuberculosis at screening, investigators noted that they could not rule out the possibility that patients with early active tuberculosis were included in the cohort, given the frequently low bacillary load and sporadic nature of bacillary shedding during the early stages of disease. Van Der Meeren O, Hatherill M, Nduba V, et al. Phase 2b controlled trial of M72/AS01E vaccine to prevent tuberculosis. N Engl J Med. 2018;379:1621-1634.